A while ago I posted about the work print version of John Woo's Hollywood debut Hard Target and in it I hoped for a 20th anniversary blu ray edition of the film. Well Universal UK have delivered. Kind of. The film is now on (region free) blu ray, unfortunately it isn't the feature packed release I was thinking of and hoping for. In fact it is literally just the film, without even a trailer for company. At least it's the uncut theatrical version, rather than the US R rated cut, but even so this is a huge missed opportunity to do something special with the movie. To their credit, Universal haven't tried to jazz up the release with any ballyhoo about it being an anniversary release. The disc has just slipped out as a back catalogue title, destined to be ignored, with buyers most likely thinking it will offer little in the way of an upgrade like many catalogue releases. Surprisingly having sat and watched the disc, I'll say if you're a fan of the film, you owe it to yourself to buy it now, the upgrade over the available dvd is so huge. Presented in it's original aspect ratio, the 1080p video makes the film look better than I remember seeing it theatrically, with a totally unexpected level of detail, depth and sharpness for a film of this budget and vintage. Considering the master used for the transfer was unlikely to have been recent, this is all the more remarkable. The sharpness and detail varies depending on the scene and shot, which is unsurprising considering Woo's use of multiple cameras for coverage, but the quality on display in the action and night time scenes in particular make the film look almost brand new. I swear you can almost see the product dripping off JCVD's mullet. The audio is given a DTS-HD MA 5.1 upgrade and again, the result is hugely impressive. Graeme Revell's score sounds simply superb and is masterfully integrated with the audio mayhem surrounding it. Again for a lower budget feature the highly directional and violently aggressive 5.1 mix is truly impressive and involving, without ever threatening to overpower the dialogue. Turn it up loud! The review for this disc on bluray.com is quite negative, both about the film and the disc, and at least as far as the disc goes, I honestly can't understand why. I've seen the film a few times in the twenty years since it was released, and while obviously the huge upgrade in quality can't help the script's clunkier moments or Yancy Butler's acting abilities, I've never enjoyed it as much as I did courtesy of this blu ray. 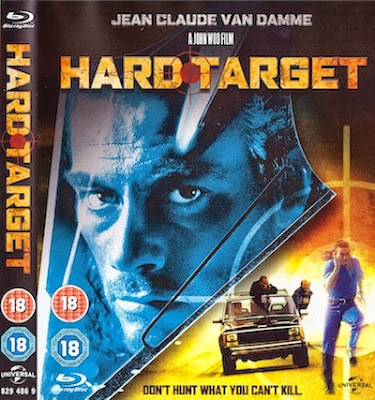 The absence of any extras whatsoever, nevermind the work print footage is a real shame but as I said earlier, if you're a fan of Hard Target you need to see this disc! Any idea if this'll play in region A players? It's funny Jay, I just realised I forgot to put region coding info in the post. I'm out of practice I guess, anyway I've updated the post now and the good news is yes it will! 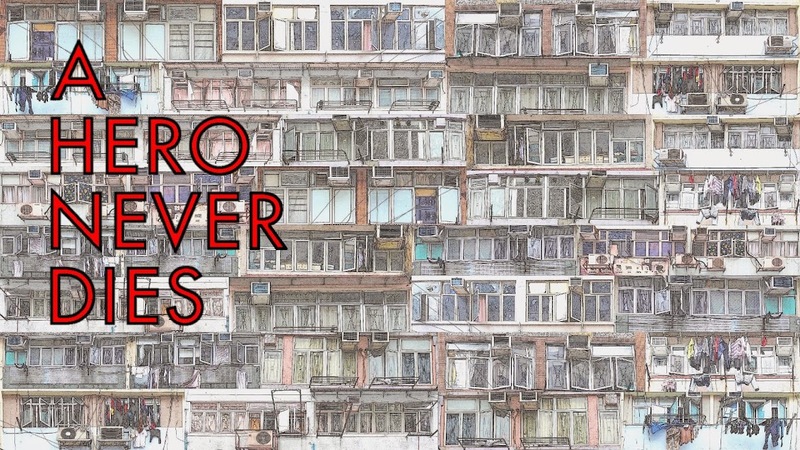 Good post Hero! Glad you are getting back into posting. I don't think any viewing of Hard Target will top my watch of it in a theater. I mostly remember the Mardis-gras warehouse scene and that piano scene that is somewhat silly. I don't think we'll ever see the uncut version on a home release long after John Woo is making films. 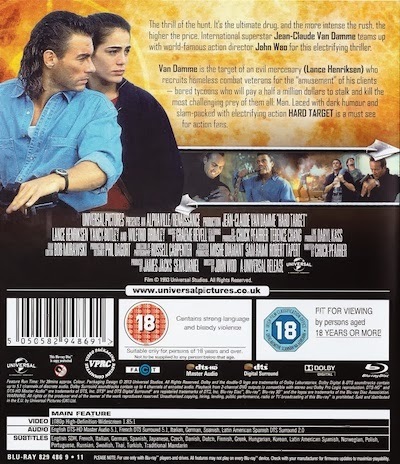 I've always thought that in the original poster they were trying to hide Van Damme's mullet in the film's poster. But it's there to see clear on the back cover. Ouch. I'm sure you're probably right re. the full version, but you never know. 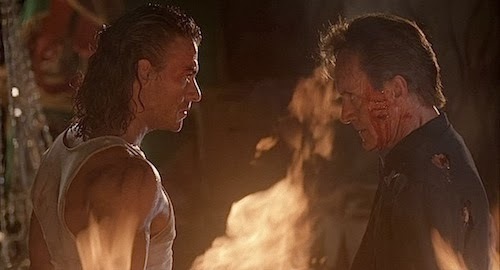 The mullet is one of the great mysteries of cinema, I mean who thought that was a great idea? There's also a German blu (HARTE ZIELE) that contains both the Euro and U.S. prints, along with the original trailer, a photo gallery, and an audio commentary that's unfortunately German-only. Thanks for the info Bruce, it would be interesting to know the content of that commentary. Thanks for the region code clarification. I'm going to have to get this. Oh wow, I NEED to get this. It's a bummer that there aren't any special features, but at least it's on Blu-ray.